Lubner quote: “The health of the local economy is dependent on the health of the Bay”. We see the bigger picture. Situated in the coastal town of Plettenberg Bay (20 minutes from Knysna), Ocean Blue Adventure offers a rare and powerful experience through permitted boat based whale watching & dolphin encounters. We also offer an “at one with the ocean” kayaking tour, and township tours. All tours are guided with expert crew and tour operators who are internationally qualified. Call us today for a booking or more advice. Ocean Blue is a licensed SABBWWA permit holder, which enables us to approach whales from 50 metres instead of 300 metres. Should the whales approach our vessel we do not have to move away. The guests therefore get an up close experience with these majestic mammals in the bay. In summer you have a great chance to see the rare Humpback Dolphins found in only certain areas of the South African coastline! You will also see Bottlenose Dolphins and Common Dolphins… We will also take you to the Robberg Seal Colony where you will see around 5,000 seals in their natural environment. 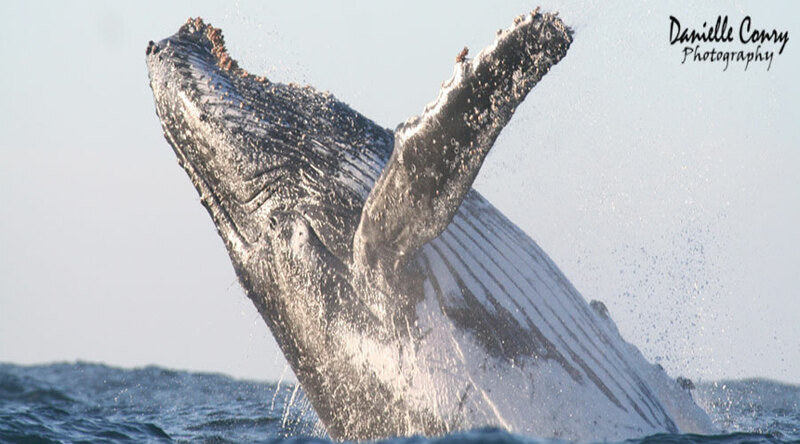 In winter you have a very high likelihood of seeing Southern Right and Humpback whales. Our tours include the Robberg Seal Colony (home to +- 5000 seals) and other marine life of the day. Our ECOLOGICAL ADVENTURE leaves from Central Beach with an exciting beach launch and heads east past the bird sanctuary and Keurbooms beach to Arch Rock. Here we usually encounter Bottlenose and the rare Indo-Pacific Humpback Dolphins as well as some shark species. From Arch Rock we head out into the middle of the Bay where pelagic seabirds are normally to be found some 7km from the shore. Out there our resident Bryde’s whales may be seen, as well as Common Dolphins or Southern Right and Humpback whales during their season. We then traverse the Bay to the point of Robberg Peninsula and out to the WILD side, often seeing groups of Whales and pods of Dolphins. Cruising back along the inside of Robberg, we see the unique geology from this unusual viewpoint and can observe our growing Cape Fur Seal Colony. Finally we head back along the Robberg beach, while a brief rundown on the history of the area is given. After passing the Beacon Island Hotel, built on the site of an original Whaling Station, we end the experience with an exhilarating landing, again on Central Beach.